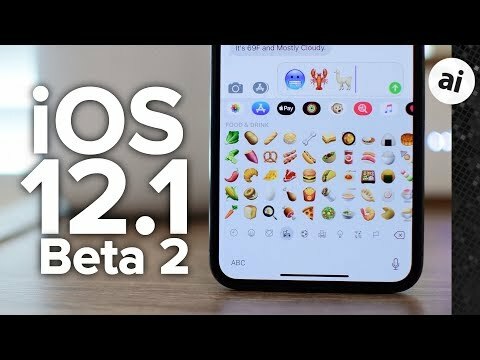 A new batch of operating system betas have been issued by Apple, with participants in the company's developer beta testing program now able to shake down the fourth beta builds of iOS 12.1, tvOS 12.1, and watchOS 5.1. Developers signed up to the test program can acquire the latest builds by downloading them from the Apple Developer Center, or via an over-the-air update to their already-enrolled devices. The public beta counterpart typically arrives within a few days of the developer version, and is usually available to download from the Apple Beta Software Program website. The fourth iOS 12.1 developer beta is build number 16B5084a, replacing the third beta's build, number 16B5077c. For the most part, iOS 12.1 appears to be a minor update rather than adding major features, but there have been a few additions to the beta that are not currently in iOS 12. A returning feature is support for Group FaceTime, which was pulled from iOS 12 before its release, but reintroduced for test purposes. Group FaceTime allows for up to 32 people to be involved in the same video conference, complete with Memoji superimposed on faces on compatible devices. Apple is also adding 70 new emoji to iOS 12.1, which it is including in the betas. Minor changes have also been found in the code, such as the addition of horizontal Face ID support which is likely to be useful for rumored upcoming iPad Pro models. The last major addition to the iOS beta is a fix for sporadic iPhone and iPad recharging issues. It is unclear if the fix will be distributed earlier than the iOS 12.1 release itself, but if not, affected users won't have too long to wait for a solution. The tvOS 12.1 fourth developer beta is build 16J5600a, replacing the third build's 16J5593c. Even fewer details are known about the contents of the tvOS 12.1 beta, and again seems to be a fix-and-improve update rather than one that includes new features. Lastly, watchOS 5.1's fourth beta 16R5584a takes over from the third developer beta, build number 16R5577c. 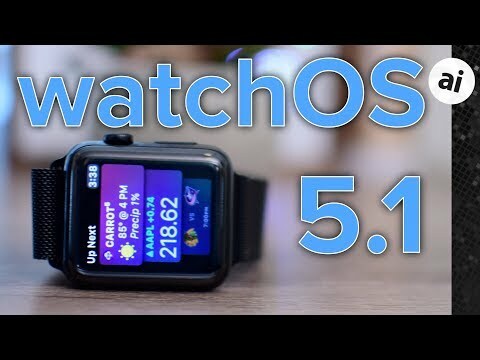 It is a similar story for watchOS 5.1's betas as it is for the other operating systems. The main change is the reintroduction of Group FaceTime calls, as well as being able to handle the call via audio until the user is able to continue in video from an iOS device. Both AppleInsider and Apple strongly advise users test the betas on secondary devices rather than mission-critical hardware, due to the potential for data loss and other issues. Non-essential devices should be used for any beta testing, with backups of important data strongly advised before installing or performing updates. I hear this update is very stable. Besides being cautious in installing a beta because of the possible bugs, also mind that installing a beta prevents Apple Retail employees from replacing a device even if it still is under warranty. Only officially released iOS version allow a device to be replaced. And having to downgrade for replacement, or any other purpose, is a chore. I have had nothing but bad luck with the new tvOS 12 (compared to tvOS 11). Apps are slower to launch, and sometimes get hung up and never do start. If others users are experiencing what I have, this will deter people from adopting Apple TV.